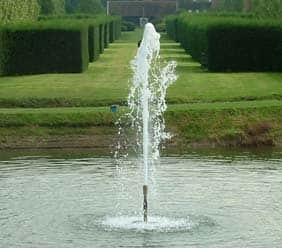 Boreholes and other naturally occurring water sources can be an excellent resource for businesses and homeowners seeking to use a reliable cheap source of water. However, being off the grid and sourcing your own water does present its own challenges, particularly where bacteria and contaminants are present. Fortunately, the team at Pumping Solutions can help. Pumping Solutions have been offering water treatment services across the UK for over 20 years. During this time we’ve amassed experience in a wide range of environments and treating a variety of contaminants. Our team are able to treat almost any water contaminant, but we’ve included some of the most common applications below. Although having iron in your water is unlikely to have any adverse effects on health, it will affect the taste and appearance of your water. It is likely to taste metallic and will usually appear rusty. Having iron in your water is more than an inconvenience as the red colour of the water can stain the things it comes into contact with, whether that be clothes, crockery or something else. As well as just staining things, the iron in the water can cause deposits to build up inside machinery, resulting in premature failure. Desalination is the process of treating water to remove salt and other minerals from water. Typically desalination refers to the process of turning seawater into freshwater. If you want to explore your options please contact us to discuss your requirements. Possibly one of the most common terms in water treatment is water softening. Hard water is water that contains calcium and magnesium ions. Hard water isn’t harmful to health, but it does impact the effectiveness of detergents and can also lead to buildups of limescale deposits. Water softening removes the calcium and magnesium ions, which means that you need to use fewer detergents, whilst also prolonging the life of appliances and equipment. It is possible for natural water sources to become contaminated by bacteria and pathogens. This is why it’s important to test water sources for their presence. Drinking water that contains harmful bacteria and pathogens can lead to significant health conditions including vomiting, diarrhoea and serious diseases such as hepatitis. The team at Pumping Solutions typically employs a UV disinfection system to treat water that is contaminated by bacteria and pathogens. Our team adhere to all European drinking water standards and legislations, including the European Drinking Water Directive (DWW). Nitrates are naturally found in groundwater and are usually present in concentrations that pose no risk to health. However, it is possible for water sources to be contaminated with nitrates in a concentration that can prove problematic. The elderly and very young are those most at risk when drinking water that contains high levels of nitrates. There are a number of ways to treat water that is contaminated with nitrates. Our team will be happy to discuss the most appropriate solution for you. When using a private water supply, it’s possible that you may have issues with sediment in the water. Sediment is a generic term for tiny particles that find their way into water supplies. Sediment can clog pipes and equipment, causing damage and downtime in the event of issues. Above are just a few of the most common water contaminants that we’re asked to treat. Our experience allows us to offer bespoke systems that perfectly match your requirements, so if you have a problem we’ve not mentioned above, please contact us. Pumping Solutions work nationwide, working with a mixture of customers including homeowners and companies in a range of industries. Call our team on 01775 711960. Have you recently had a private water supply assessment? Do you need water treatment? 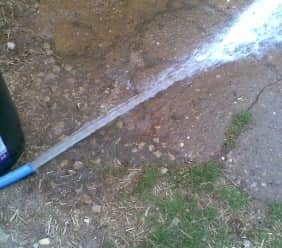 Many households and businesses suffer from an inadequate water supply, something which can occur for various reasons and usually has to do with poor movement of water from the source to the building. This is especially prevalent in hilly areas and in the countryside. Poor water supply can also be down to suppliers decreasing pressure, the property height, and often occurs during peak times, but what many don’t realise is that this kind of issue is not necessarily down to insufficient plumbing, nor does it require expensive work to be done. This is where a water booster pump comes into play. 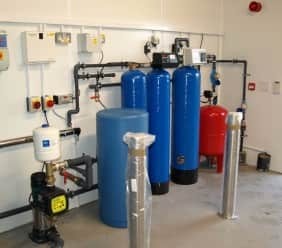 As part of our treatment and pumping systems we can provide, we’re also able to include nitrate remover products and systems to further improve the quality and purity of water. This is particularly important for things like garden pumps and water features, and large-scale commercial systems where fish or other wildlife might be present. 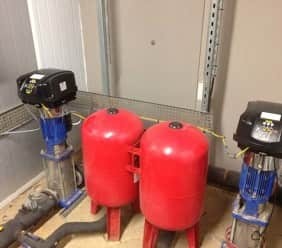 We’re able to apply this nitrate remover to any scale of water booster pumps as part of our treatment solutions; get in touch with the Pumping Solutions team on 01775 711960 or fill in our online contact form. If you are lucky enough to have a private water supply, it makes sense to make the most of this natural resource, and our team will help you do it. After thorough inspection, we will draw up plans for your treatment system to ensure it is unobtrusive yet high effectively and with access to the very latest equipment, you can feel confident that your system will be built to last. It is of course vitally important to ensure that any water naturally sourced is safe for you to drink, so we make sure to adhere to all European drinking water standards and legislations, including the European Drinking Water Directive (DWW). To find out more about our treatment services, please don’t hesitate to contact the Pumping Solutions team today on 01775 711960 or complete our online contact form and we’ll get back to you. Click Here to find out more about European drinking standards and legislations.